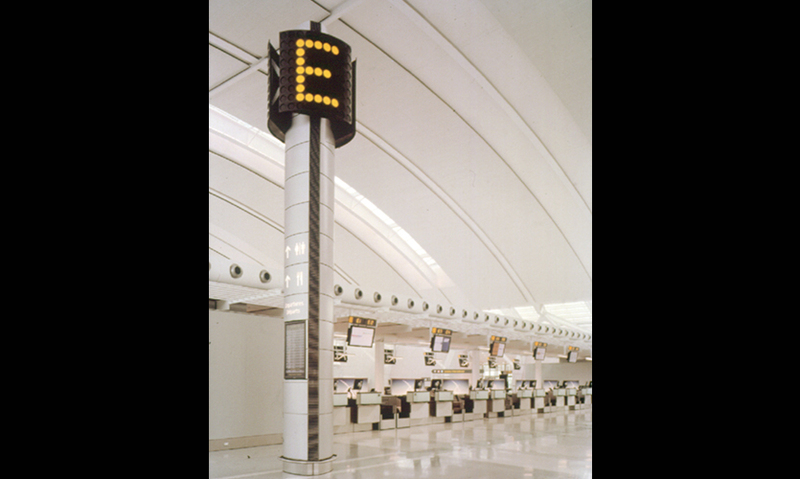 The designers created two different signage elements: tall information pylons made of aluminum and overhead directional signage. 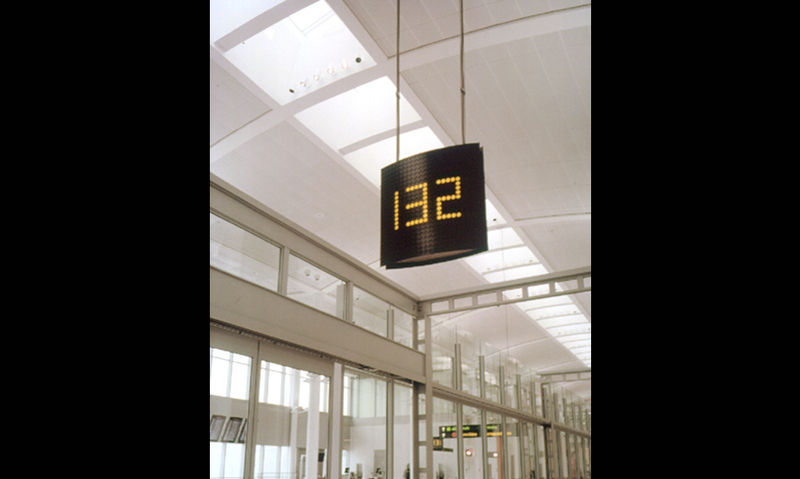 All signage was designed for maximum visibility across the terminal's interior spaces and is internally illuminated with long-life lighting elements for minimal maintenance. 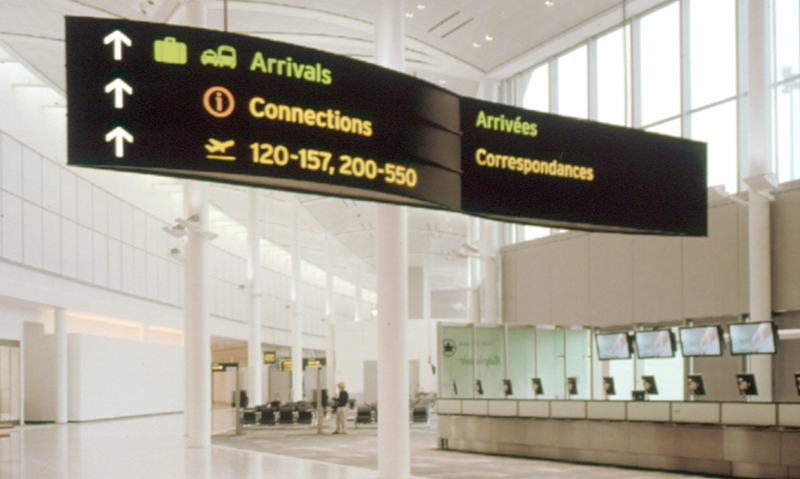 A traveler can intuitively follow his or her way through the terminal using a color-coded system for information regarding gates, ground transportation, customs, and amenities. "This wayfinding system is simple and functional in execution and its readability from considerable distances supports quick association with destination for the traveler. In an already harried environment like an airport, the designers give a simple gift to the user by not making them work hard to interpret the symbols. I love the clean color palette of black, silver, and white punctuated with yellow. The masculine design imparts a solid, no-nonsense feel to the signage. 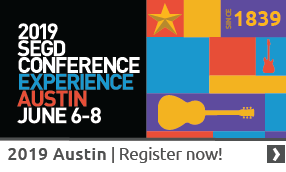 The messaging has a simple a-b-c approach that is comforting and respectful to the traveler."